Greetings from the Australian National University in Canberra, where Dr Kader Konuk, Chair of Turkish Studies, Universität Duisburg-Essen, is speaking on "Scholars at Risk: Populism, Islamism, and the Current Flight of Academics to Europe". Dr Konuk outlined the erosion of academic freedom in parts of the world. She pointed out restrictions on academics in the USA during 1950s McCarthyism and recent cuts to climate change research. Dr Konuk then went back further to the 1930s and academics in exile from Nazi Germany. Moving to the centerpiece of her message, Dr Konuk outlined the history of secular universities in Turkey, after the founding of the republic in 1923. Turkey has had multiple military coups from 1960 to 1980, but the failed coup in 2016 has been followed by even tighter regulation of universities. Dr Konuk pointed out that in 1933, 40 exiled scholars from Germany were hired by Istanbul University, but today academic exiles from Turkey need help in Germany. Dr Konuk's description of the treatment of academics by the state reminded me of the "Authorized Systematic Harassment" depicted by the 1978 dystopian TV series "1990". In the episode "Ordeal by Small Brown Envelope", the state used bureaucratic processes to implement relentless harassment of opponents. For someone at an Australian university, where we take academic freedom as a given, this was a sobering talk. Dr Konuk asked us to examine the relationship between universities and the nation state. She applied for funding to start a forum to discuss academic freedom and to provide facilities for scholars in exile to be able to continue their work. Greetings from UNSW Canberra at the Australian Defence Force Academy, where Adam P. Henry, is speaking on his report "Mastering the Cyber Security Skills Crisis: Realigning Educational Outcomes to Industry Requirements". Adam asserted that there is a shortage of cyber security personnel in Australia. However, his report is on university degrees, which are not necessarily intended to to provide "job ready" staff. University degrees provide a broad education and it is expected that industry and specific employers will provide specific job skills. Some university degrees do provide specific work skills and experience, such as engineering and computer science. I am tutoring ANU engineering and computer science students in the ANU Techlauncher course after this seminar. Some of these students undertake group projects for companies and government agencies, while others are individual "interns" working under supervision in organisaitons. Adam emphasized practical time on task and testing of students on work-relevant exercises. He looked at different forms of education, including industry certifications, as well as higher education. Adam divided expertise into five levels, from basic to advanced expert. It would be useful to relate these to the Australian Qualifications Framework (AQF), which has ten levels. He also divided the field of education into five areas, including "people". He also had nine purposes in his framework. Adam conducted surveys of students. Interestingly, 40% of students were not already working in cyber security and 56% were studying to get a new job. Also 34% were interested in going on to a PHd. One this last point, I suggest a Professional Doctorate may be better than a PHd. Adam compared the offered Australian degrees with a the requirements for the US standard cyber security job characteristics (NIST KSA). However, he also pointed out that some cyber security jobs may be so specialized that the employees don't have a career path. That suggests that education needs to be broad to get the employees out of that trap. This 28 page report argues that Master of Cyber Security programs in Australia do not meet the requirements of industry. However, this is based on comparing what is in the Australian degrees with U.S. Government requirements. As a trained and qualified educational designer, specializing in IT and with a background in defence, if you give me that as the requirement, I could design a degree program, to meet that specification. However, are the US requirements what Australian industry needs and who says what is required? When designing engineering and computer science programs and courses, there are professional bodies for universities to turn to for guidance. Engineers Australia and the Australian Computer Society accredit relevant programs. There seems to be a lack of equivalent in the cyber security area. This is something the universities can help rectify. In practice many of the people who write the "industry" requirements for education are actually academics seconded to committees by EA and ACS. The report is on firmer ground suggesting "... mission-specific and purpose-driven courses may better prepare students and address the skills crisis than generalist degrees." (p. 3). However, I suggest that purpose-driven courses can be incorporated into degree programs, using tools such as e-portfolios. The degree can provide a general framework, into which specific industry certifications can be inserted, as required. Australia has an advantage when it comes to designing practical, flexible, education. The vocational and university arms of education are able to support each other. The workforce can be trained by a combination of university degrees, vocation programs at government TAFEs and commercial training organizations (RTOs), plus training in the workplace RTOs. ps: I prepared a Cyberwar Hypothetical for Teaching ICT Ethics at ANU. 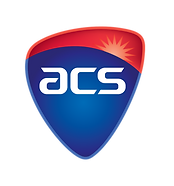 The report "Mastering the Cyber Security Skills Crisis: Realigning Educational Outcomes to Industry Requirements", by Adam P. Henry, has been released by the Australian Centre for Cyber Security (ACCCS). There will be a seminar about the report, 11:00am, 24 August 2017, at UNSW Canberra. This 28 page report argues that Master of Cyber Security programs in Australia do not meet the requirements of industry. However, this is based on comparing what is in the Australian degrees with U.S. Government requirements. Australia's needs may not be the same as the USA and the UK's approach (coming from GCHQ) may be more appropriate. Also what is suitable for government and military requirements may not be what commercial industry need. Technology is advancing education, but this is evolutionary, rather than revolutionary. Consider the Tesla, the Toaster and the Teacher with a Tablet. 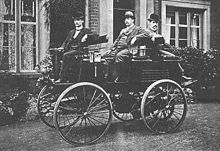 Tesla cars look high tech, but underneath the streamlined body, there are four wheels driven by an electric motor and drawing power from a battery, just as electric cars did 100 years ago. Similarly a modern toaster has a streamlined plastic case, but this hides a steel frame with heated wires, and functions the same way an electric toaster did one hundred years ago. The toaster has a tiny electronic control board added to make it smart, just as the Tesla car has computers added to the hundred year old electric car design. In education, as in toasters and cars, a small amount of computer technology is added, to improve performance and add new features. But e-learning's shiny touch screens are built on a proven framework of pedagogy. Even something as new and advanced sounding as a 3D display for distance education, is more than one hundred years old. The Australian National University (ANU) launched its e-Portfolio system yesterday. E-portfolios have been in use in Australian universities for at least a decade, but are still not easy to use. QUT lead the Australian ePortfolio Project, which produced a 175 page report in 2008. QUT also produced a 41 page report in 2008 on what they were implementing at their own institution, which remains a useful guide for others to follow. The type of e-portfolio I am most interested in is Structured, where the student can be guided through the requirements of a course, degree program, or professional certification, without being limited to completing fixed coursework or tests. Mahara's SmartEvidence may make this easier. This and could be used for courses, or whole bachelors, masters and professional doctorate degrees. Problems occur with e-portfolios when the purpose is not clear. In particular a structured or learning e-portfolio is unlikely to be suitable as a showcase. The student's detailed work and reflections are unlikely to be of interest to a prospective employer, and may not be suitable for public release. One problem is where the student is undertaking professional practice work in a real commercial or government workplace. The student's work can contain sensitive commercial or government information, which instructors are permitted to see, but cannot be made public. In reflections, students can reveal much personal information, including mental illness, personal and family relationship difficulties, which are not suitable for release. Also I don't agree with QUT's claim that "Writing reflectively is easy". Providing the digital tool is easy, but getting people to use it effectively is very, very, hard. In particular, reflective writing is not something which comes easily to STEM students, who have been trained to write in the third person from a neutral "objective" point of view. Reflection is something the students need to be trained to do, supported by a qualified teacher. Athabasca University introduced an ePortfolio for MEd students in 2012. However, this was modified a few years later, in part due to the difficulties the students had in completing a portfolio (Hoven, 2015). It should be noted these portfolios were for students of education, well versed in writing. If anyone should be able to do an e-portfolio, it is an education student. I was one of the cohort of students during the transition to the new Athabasca MEd e-portfolio process. 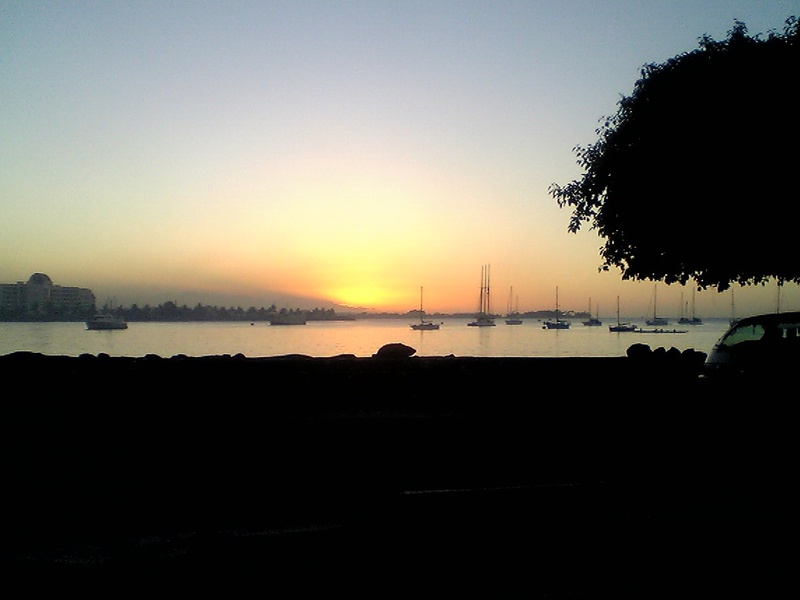 We were given to choice of the old process, or the new and I chose the new. Rather than the e-portfolio being appended after then end of coursework, it was a capstone course. An instructor took students through stages of work, with peer feedback. However, even with this additional support, the e-portfolio process was not easy. Based on that experience, I hope to help avoid some of the problems with e-portfolios at ANU. Greetings from the Australian National University (ANU) in Canberra, where the new e-Portfolio is being launched. The software product being used is Mahara and it has been piloted extensively at ANU. The choice of this product is a safe choice as it is typically installed alongside Moodle (which ANU already has). I have used Mahara in the ANU Techlauncher program, with computer science students. 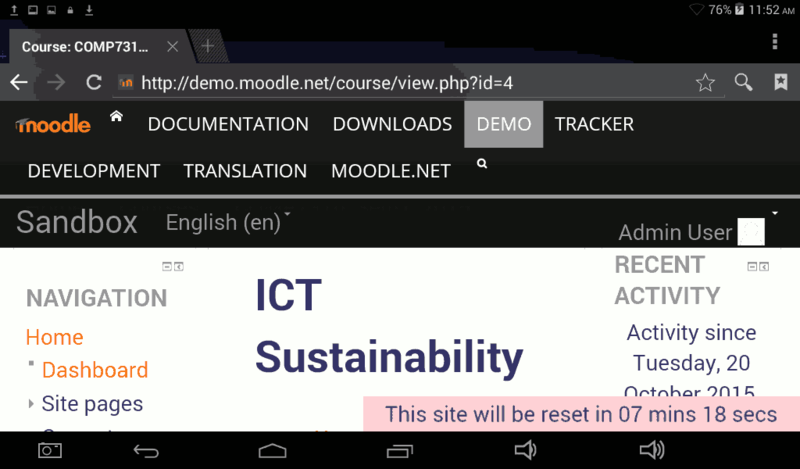 Previously I have used Moodle/Mahara at ACS, USQ and Athabasca University. Professor Paul Maharg is providing an overview of how he has used e-portfolios for training lawyers. This was not about a box ticking exercise, but helping a student understand what it is to be a lawyer. He pointed out that "e-portfolios and reflection go really, really well together". Professor Maharg also pointed out the difficulty getting students to work cooperatively together and to have curricula changed to incorporate it.He then got a little allegorical, likening an e-portfolio to the journal of early explorers, in how they explain not only what they have learned in an objective sense but as something they need to integrate with what they know. In his presentation used the term "curriculum is technology" and asked where it was from. I traced it to a JISC report (Hughes, Gould, McKellar & Maharg, 2008, p. 40). Last year I had to use Mahara as a graduate student to prepare a portfolio. This involved reflection and peer work with other students. My hope is that the SmartEvidence function of Mahara will take much of the tedium of the process, for students and supervisors. UNSW Canberra/Australian Defence Force Academy (ADFA). Each institution has its own character. ACU is calm and cloistered, being a former seminary. ANU has a grand tree lined avenue, from North America's Ivy League. CIT has workshops and funky designers. UCan has gone upwards with new high rise accommodation. UNSW/ADFA is a modern interpretation of West Point Academy, with a parade ground and everything squared away. Amigud et al. (2017) tested using machine-learning to identify what work is not by a student. The AI system is "trained" using work submitted by the students and then can spot work which does not match the writing style of an individual. They claim 93% accuracy, compared to human instructors being able to identify work not by the student only 12% of the time. This approach has the advantage that it can identify where work was contracted out to someone else, as well as where it was copied from a public source. When faced with the suspicion that some students are cheating, it is tempting to ask for a supplementary face-to-face examination for that student. However, I suggest designing assessment so that all students are required to present a consistent body of work throughout their course. Large assessment items can be replaced by multiple interlinked, scaffolded tasks. This will help students learn, while testing they have acquired required skills and knowledge. As a byproduct, this will make cheating much more difficult, as a student can't just contract out one major assignment as it will not be consistent with the student's other work. 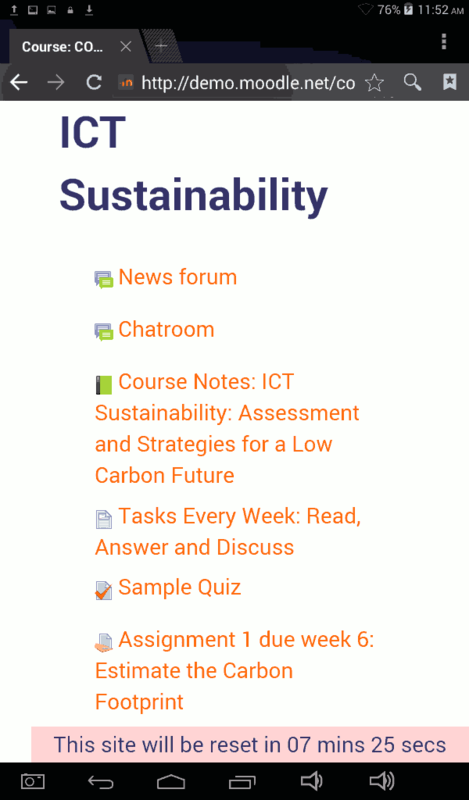 As an example, in "ICT Sustainability", students have to answer weekly questions. The student then uses the answers in the two major assignments, which are each in two parts. This makes it difficult for a student to contract out one assignment, as the content has to be consistent with their prior work on the same topic. There are also weekly automated quizzes on basic knowledge, drawn from a question bank (to make cheating harder). To be eligible to pass, the student must get at least 50% for the weekly work and 50% for the assignments, so they can't pass by doing well in just one assignment. Also I use progressive assessment to identify those students in the first few weeks who are having difficulty, so they can be offered help and counseling. These students will be less likely to cheat, as they can get help and they know they are under closer observation every week. I designed and refined this approach to assessment as part of my graduate studies in education. Greetings from the Australian National University in Canberra, where renewable energy entrepreneur and rocket scientist, Dr Lachlan Blackhall, is recounting the history of Innovation ACT. This started in 2007 as a start-up competition for ANU students (Innovation ANU) and opened to students at other Canberra higher education institutions in 2009. Apparently at the first launch event I was so surprised by the large amount of prize money being offered, I asked the distinguished senior academic doing the launch: "Is this a scam?". After ten years of completions, I have concluded it is not a scam. Students form teams and learn about how to turn an idea into a product or service. To give them incentive, there are prizes. The prizes are now in kind help with furthering their business idea, rather than just cash. entrepreneurship, perhaps it is time to remind everyone this is not easy. here is a belief in some of the entrepreneur community that formal higher education is not needed any more and school kids should just learn on their own and go into business. I challenged Steve Baxter, best know for Shark Tank, at at River City Labs in Brisbane. Steve suggested that a tech entrepreneur could obtain business advice and training, but a business person without the needed tech training would have more difficulty. I think I managed to get him thinking that some formal training in both tech and business was worthwhile. Currently I am tutoring ANU Techlauncher students, mostly computer science, with a few engineers and some interns. The students are learning what are referred to as "soft skills" but are hard, particularly for STEM students. Students who have mastered very technical computer skills soon discover that planning, management, estimating and communication are not easy. Competitions such as Innovation ACT help with this. I will be presenting a seminar on the ANU Grand Challenge: Peace through superior education, 22 August 2017 at the Australian National University in Canberra. All welcome, free but please book. The ANU Grand Challenges Scheme aims to "...bring people together from all across the University to bring new perspectives to a major challenge confronting society". Nine of the proposes relate to education through the use of technology. This seminar discusses one such proposal, for delivery of education on-line in the indo-pacific region from ANU. The Australian Computer Society Canberra Conference needed an extra speaker next Tuesday. So I am filling a 2:20pm slot with "Designing Professional e-Learning". It is an opportune time of this as ANU has just announced a "major expansion of engineering and computer science". Award winning e-learning designer Tom Worthington will discuss how to equip professionals for the technology challenges of the 21st Century. He will detail how to provide formal postgraduate education to students in their workplaces via mobile devices. Tom will discuss his own experience as an international student using an e-portfolio to provide evidence of skills. 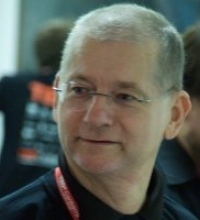 Tom Worthington is an independent consulting Certified Computer Professional and an Honorary Senior Lecturer in the Research School of Computer Science at the ANU. He writes on education issues as "The Higher Education Whisperer" and more generally as "The Net Traveler". 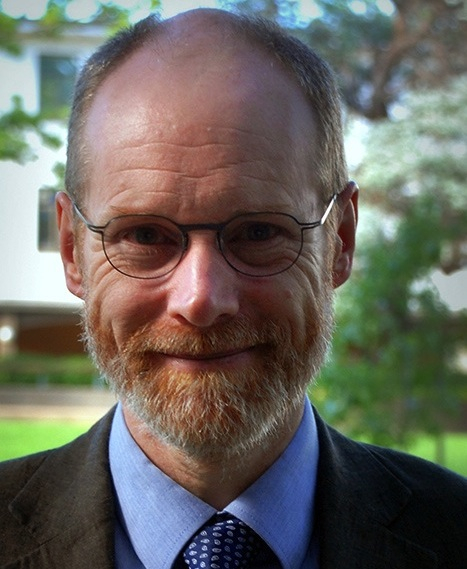 Tom is leading an ANU Grand Challenge team to provide m-learning to 200,000 students across the indo-pacific region. 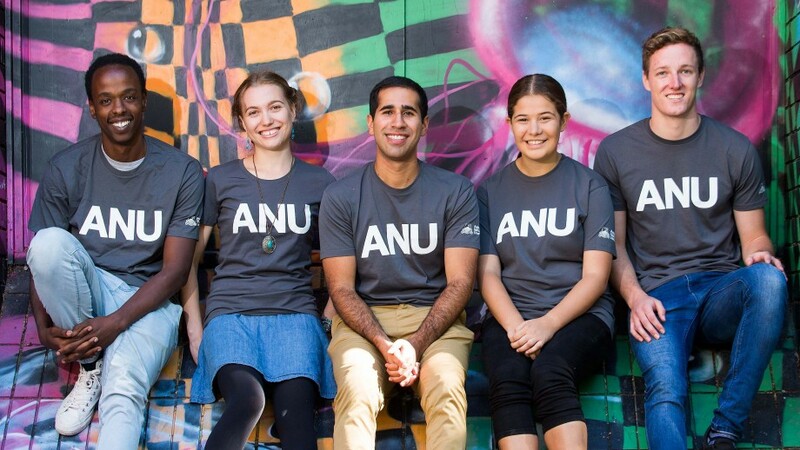 Peace Through Superior Education is an entry in the Australian National University's ANU Grand Challenges Scheme. This entry proposes to test the use of mobile learning to connect people across our region to address radicalization, climate change, food and energy security. Other ANU Grand Challenge entries include: Zero-Carbon Energy for the Asia-Pacific and the Grand Challenge of Negative Emissions. ANU researchers and students interested in working on these can access the ANU Grand Challenges Portal. Non-ANU researchers can contact the project personnel to express interest in participating.